What it Is:Reduce the appearance of dark circles and discoloration with this Brightening Eye Cream that has a potent blend of peptides, DMAE, CoQ10 and black tea. Vitamin-rich to hydrate and moisturize for optimum age defy results. Who it's For: Designed for customers of all skin types (except sensitive skin) in their 20s and up. Effective for dark spots, discoloration, uneven skin tone and texture. The GREEN APPLE® Brightening collection is not designed for very sensitive or rosacea skin due to the alpha/beta hydroxy fruit acids. If you have this type of skin, see the Daily Essentials collection (sold separately). How to Use:Moisturize morning and evening by gently applying around the eye area, including eyelids and between eyebrows. 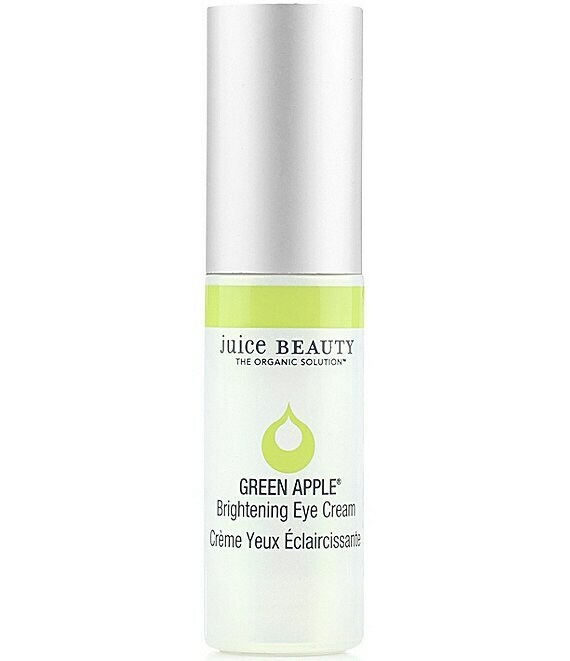 Complement with the Juice Beauty GREEN APPLE® Age Defy Serum and GREEN APPLE® Age Defy Moisturizer (each sold separately).